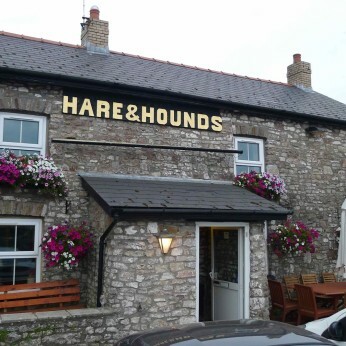 Here at the Hare & Hounds in Aberthin we serve good quality food and drinks in relaxed and informal surroundings. Alongside the bar, we now offer a small, daily changing, seasonal menu in our dining room. We use the very best produce that the Vale of Glamorgan has to offer. Here in the Vale we have some of the most productive soil in the UK, which gives us meat, vegetables and game of the highest quality. The produce available to us from the best Vale producers, our own kitchen garden and our smallholding up the lane, dictate what is on the menu from day to day. Everything is made from scratch in our kitchen, from our own sourdough bread and cultured butter, to our charcuterie and fresh pasta. This is not pretentious fine dining; its just about good food, whether you’ve been for a long walk with your dog or have got something to celebrate. It is a type of regional Welsh cooking. Welsh regional winner and overall finalist in Unilever Food Solutions’ competition for the Best British Roast Dinner 2017! Fancy escaping the hectic centre of Cowbridge when the Food & Drink Festival is on. It’ll be great fun, and fingers crossed for some sunshine!